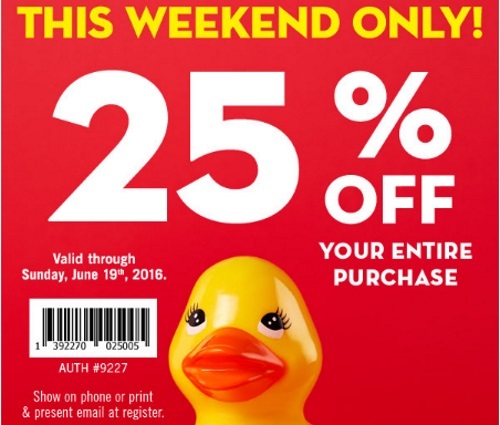 Bath & Body Works Semi Annual Sale is on now plus they have a new 25% off coupon that you can use this weekend to save even more! This can be applied on anything in the store, including sale items! Coupon is valid until Sunday, June 19, 2016. Show the coupon on your phone or print it out at the link below. Also, if you are on their mailing list you should of received this coupon in your email.